People sometimes ask me how I felt when I learned that Jac, my middle child, had autism. They frequently guess that the diagnosis would be a relief to me, but this was not actually the case. In an earlier blog entry titled “Praising God with a Broken Heart“, I detail how Jac was born with a heart defect and almost lost his life. Because of this and the surgery that followed, Jac was in multiple therapies from birth. He was always delayed developmentally, but I believed it was because of his birth experience, and that eventually the therapies would phase out. When Jac failed his screening for autism, my husband and I realized that things may be much different than we imagined. When a panel of experts unanimously agreed that Jac did, in fact, have autism, it definitely changed some things for us. While we didn’t have a lot of knowledge of ASD (Autism Spectrum Disorder) at the time, we do have some friends with a special needs son, and so we had some sort of idea of what was in store for us. The diagnosis was not a relief, because I had believed Jac’s delays would disappear with time. What the diagnosis did do was open up some doors for Jac to get help. Jac has been able to get therapy in preschool and private therapy as well. We’ve learned a lot about his specific challenges and ways to make things better and easier for him. 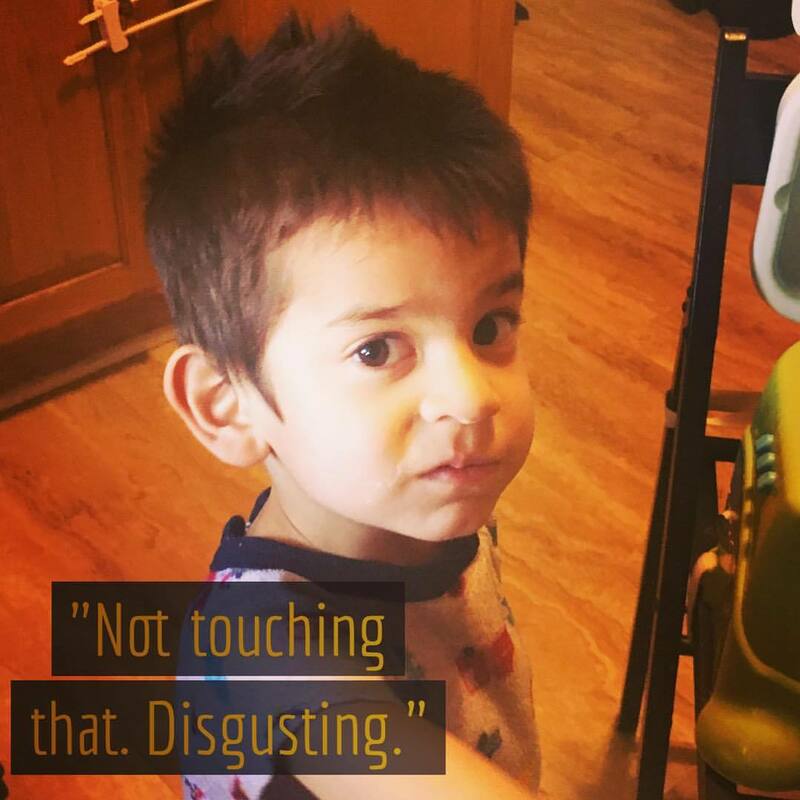 Jac has not been officially diagnosed with Sensory Processing Disorder, or SPD, but many people with autism also have it, and his occupational therapist agrees that he does as well. What this means for Jac is that his body does not process sensory input the way it should. The whole disorder is baffling to me because it seems completely inconsistent. Jac is a sensory craver, which means he loves rough and heavy play like swinging, playing tag, and bouncing on the exercise ball. He sometimes intentional creates loud noises by dropping chairs or a tin full of toy cars. 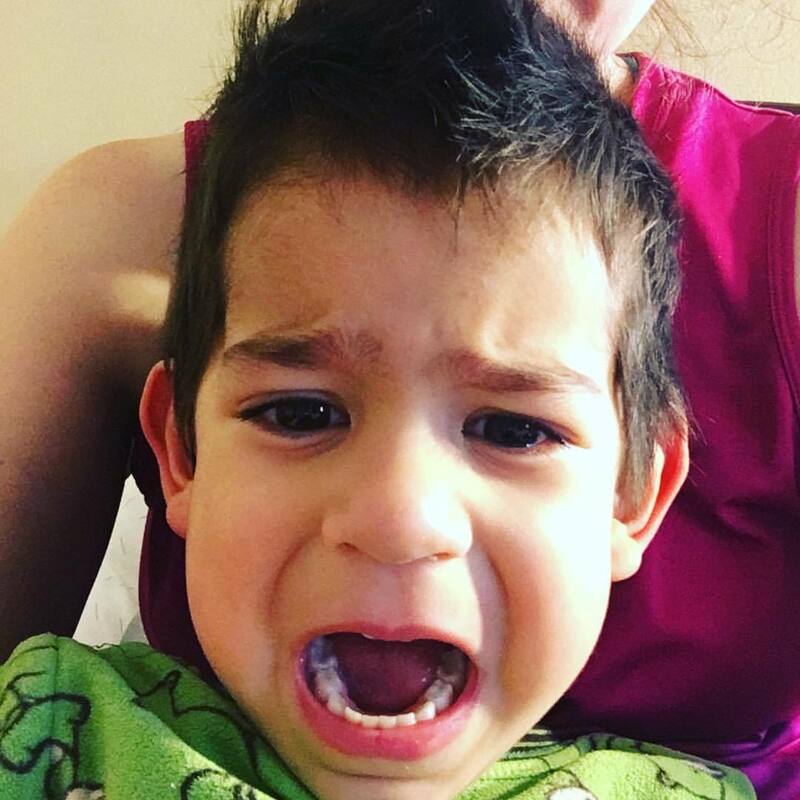 But at the same time, the sensory information that comes when he spills food on himself while eating is overwhelming to him, and we frequently experience meltdowns at mealtime. For a little while after the diagnosis a lot of people were commenting, “Are you sure? He seems normal. Kids develop at their own pace.” In the beginning I had my doubts as well. I wanted to doubt. But Jac also has a pretty serious speech delay: he does talk, but very little. At three and a half years of age he only has two two-word sentences, and often uses tears instead of words to communicate. Jac also ignores people pretty intensely. There are a few people he likes and may play with for a little bit. But he mostly likes to pretend that others don’t exist, with the exception of me. He even rarely interacts with his siblings. Eye contact is also rare. So no, I don’t doubt that Jac has autism. What does this mean for our family? Obviously, our love and compassion for him hasn’t changed. He’s our son. We’re pretty passionate about him and think he’s amazing. His siblings love him as well. For me as a mom, sometimes it’s like having twins. As with my twenty-one-month-old, when we go out, he cannot be trusted not to run away, as he doesn’t understand safety concerns or getting lost. He doesn’t follow instructions hardly at all, and isn’t independent enough to do things like dress himself. He doesn’t understand a lot of things that we say. Or he tunes them out. I’m not quite sure. In the end, it mostly means that we really, really have to trust God. We can make plans, but we have to hold them loosely, knowing that the care that Jac needs comes first. Having a son with autism can seem overwhelming: the meltdowns, the never-ending therapies, the uncertainty of his future; but one thing to remember is that this isn’t a surprise to God. God formed Jac’s inward parts and knew he had autism from the get-go. God isn’t discouraged or disappointed. This is part of his plan. He’s using the situation to shape me and my family into His image, and He has some amazing plans for Jac as well! The key is to realize that I really am not in control, and to completely trust the One who is.